We invited Cheapass Games to come host our monthly GeekGirlCon Game Night, and they said YES! So come out to Wayward on Friday, Nov 8, 7-11 pm, for a game night and demo of the new Cheapass Games card game, Get Lucky. Games are provided or you can bring your own! Folks from Cheapass Games will be around to teach you how to play their new (and old) games. And be sure to check out their KICKSTARTER for the new game! We’re kicking off the GeekGirlCon weekend with a concert at Wayward Coffeehouse featuring the return of The Doubleclicks and Molly Lewis! Come out on Friday, October 18, 8 – 10 pm, for an awesome night of geeky acoustic music. There’s no cover for this event, but please remember to support these touring performers with a suggested donation of $5. Hope to see you on Friday at Wayward and at GeekGirlCon the rest of the weekend! Come learn how to apply realistic undead makeup for your Halloween costume. Join movie makeup enthusiast David Taylor of SciFiCommons for this Zombie Makeup Demo, then stick around for our showing of “Night of the Living Dead (1968)”! Demo is on Sat, 10/12 from 8-9 pm followed immediately by the movie. Come out for a fun night of gaming, geekery, and delicious coffee at our monthly Game Night with GeekGirlCon! This is a hosted game night where we provide games (or you can bring your own!) and there are folks available to teach you to play – very welcoming to gamers of all levels. Come on your own or bring some friends. Friday, October 11, 7-11 pm. Our biggest event of the year! 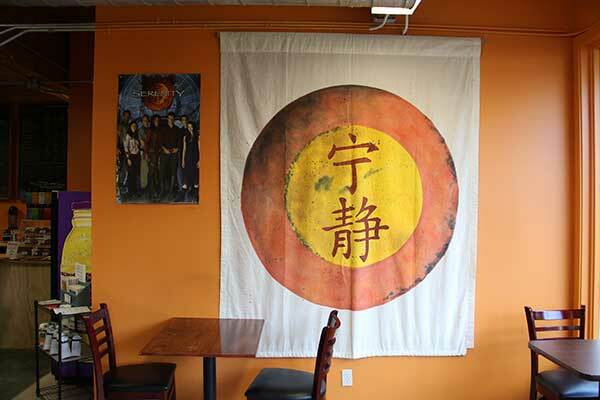 Our annual Sereniversary Shindig, a celebration of the anniversary of the theatrical release of Serenity and all things Firefly, plus its the Wayward Coffeehouse anniversary as well! Come out and celebrate with us on Saturday, September 28th, 6 – 11 pm (no cover!). We’ll have live music with Vixy&Tony, Sunnie Larsen, and Betsy Tinney, plus Whedonverse Trivia (with prizes! 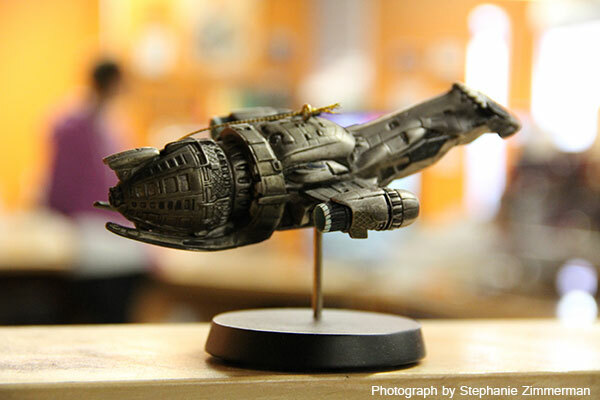 ), Firefly Costume Contest (with prizes! ), and a very special Charity Auction of a t-shirt SIGNED by NATHAN FILLION benefiting Seattle Browncoats Charities. The event kicks off at 6 pm with mingling and geekery, then at 7 pm we’ll have the music start. Around 8 pm we’ll do Whedonverse Trivia, around 930 we’ll do the Costume Contest, and then back to some music. We’ll have the Charity Auction before the night’s last music set (this is an approximate schedule and subject to adjustments). We’re excited about the return of The Doubleclicks to Wayward Coffeehouse this Saturday, July 27. We’ll also be welcoming Sarah Donner for her first (of we hope many!) performances at Wayward. Join us for a fun night of geeky music, delicious coffee, and fabulous company. 8-10 pm, no cover (donations to these touring musicians greatly appreciated)! Its also Aubrey’s birthday (of The Doubleclicks) so come out and show the love on her special day! Stickers! We now have Wayward Coffeehouse Stickers! 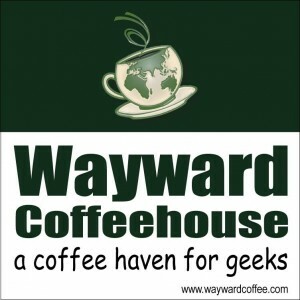 Introducing our new stickers to help you show off your love for the geeky coffee haven, Wayward Coffeehouse! A shiny addition for your laptop, smartphone, travel mug, car window, whatever! Get yours from your barista for only $1.00! Celebrating their anthology, “When the Hero Comes Home” join the editor and contributing authors including Eric Scott de Bie, Gabrielle Harbowy, Rosemary Jones, and Erin M. Evans for a reading and book signing at Wayward on Saturday, July 6, 8-10 pm, no cover. Copies of the anthology will be available for sale (and signing!) at the reading. Come support local authors, connect with those you know, and discover some amazing new storytellers!